Place cut up carrots, sweet potatoes onion in bottom of crock pot then add chicken breasts. 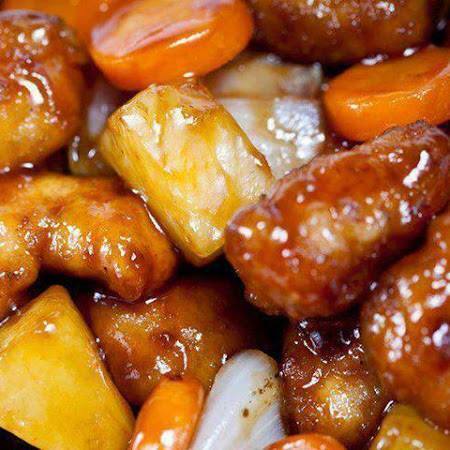 In a large bowl add, brown sugar, pineapple juice, orange juice, soy sauce, ginger and garlic salt pour over chicken, sweet potatoes and carrots in crock pot. About one hour before done add the small can of pineapple chunks so they can heat up with rest of food. High for maybe four depends on your crock pot.